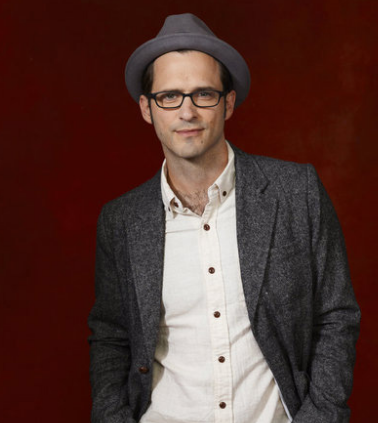 Fans of the 90s were undoubtedly happy to see former MMC cast member Tony Lucca take the stage on The Voice this season. His blind audition caught the attention of every judge and he ended up going with Adam as his coach. During his first live performance last week, Christina criticized him for being one-dimensional and said she hoped this was more about his voice than celebrity sway (in reference to his famous friends throwing their support behind him on Twitter). America seemed swayed, but for all the right reasons, and he made it through to the next round. Today, we talked to Tony in an exclusive interview about the journey thus far on The Voice. Q. Gina, RealityWanted: You've been doing music a long time now. What made you decide to turn to The Voice? A. Tony: Well, you know, the singer contest avenue has proven to be viable for a lot of people. This one appealed to me because they not only steer from people that have a pre-established body of work but they highlight that. I was like, "As long as they're cool with what I've already done, that's great!" Q. Gina, RealityWanted: You sang one of my favorite songs for your blind audition, "Trouble" by Ray LaMontagne. How did you end up picking that song? A. Tony: The song selection process is an intricate one, especially at that stage of the game. Even though only 60 make the broadcast, there's twice as many that sang. There are a lot of songs to pick from so no one sings the same song. They give you this long list that you have pick from and prioritize. It's a very crazy numbers game, I guess! Every time I saw that song, I made sure they knew it'd be the first song I'd wanna do if I could. They ended up giving it to me and I couldn't have been happier. Q. Gina, RealityWanted: How did it feel to have all four judges turn around for you? A. Tony: It's a big deal! It felt great! It definitely felt like... you have those times in your life that you're like, "What am I doing? Why am I here?" That was that moment where I was like, "I'm exactly where I'm supposed to be right now." There's a moment after Cee-Lo's chair turns around, they cut back to me, and I have this little boy grin from ear to ear! Q. Gina, RealityWanted: What did Adam bring to the table as a coach that made you choose him? A. Tony: I went into it wanting to work with Adam if I could. I think as far as his approach to things, based on the first season, he has a way of participating in the show that seems very legit. He's brutally honest at times. For someone like me, I'm gonna check my ego at the door and put myself at the mercy of this process. Q. Gina, RealityWanted: How did you feel going into the battle round? It seems so unnatural to sing against someone and then have a winner declared right then and there. A. Tony: The battles were unnerving for sure. You didn't wanna get paired up with anybody on your team! You don't wanna have to say goodbye. It's awkward, it's bizarre, but it's like... I feel what it comes down to is just an energy thing, a personality thing. It's an expression of who you are as an artist, not how many notes you can hit. I think what we saw with the coaches was just that the battles were more of an opportunity for them to air out their intuition on their teams. Whether or not that's the best singer, I think the jury's still out on whether the battle round is a good barometer for that. Q. Gina, RealityWanted: I'm sure you've been asked many times about Christina's comments to you after your live performance. I'll try to spin it positively and ask you how it felt it have so many people support you afterwards. A. Tony: You know, it's always nice to have supporters get my back and chime in. What was more entertaining was catching wind of stuff her fans and what their take on me was. She's got some pretty dedicated fans. Going back to what she said, I've said this from the get go. When it comes down to knowledge of the game and the entertainment business and vocals and presentation, I think Christina may have the stronger impact. I think she may be a more knowledgeable voice. The question comes down to tone and intention with her. It almost seemed like what she had to say was prepared. No matter what I did, she wanted to make sure she got her talking points in. She had a hard time looking me in the eye when she said it, which is unfortunate. I think she has a responsibility to voice concerns, such as celebrity sway. Those are legitimate concerns because I may be the first one to come in with such a sizeable influence and I won't be the last. Personally, those are just my friends and I've earned those friendships. And I don't apologize for them. Q. Gina, RealityWanted: What's your strategy from here on out? Are you going to change things up? A. Tony: Getting back to what she said about one dimensional, if there was any lingering doubt about me after the blind audition, we can put that to rest. I want to explore more genres on the show and that's definitely something I'm going to do. The next round is going to be probably like nothing else. Q. Gina, RealityWanted: What do you want to say to your fans? A. Tony: Thank you, period. Getting voted through on a show like this... it's hard to put into words what that feels like. I'm so grateful for it. It's a special experience to be a part of. It's hardly over! The Voice airs Mondays at 8/7c on NBC.